Tom has invested his career of 35+ years as an architect, operations consultant, educator and researcher in design for healthcare facilities. He is a Fellow of the American Institute of Architect a Fellow of the American College of Healthcare Architects and is EDAC certified. His leadership and ideas have influenced an extensive array of environments for healthcare-related missions within settings ranging from rural to urban academic teaching enterprises. His passion focuses on optimal performance of the buildings that emerge from his practice. 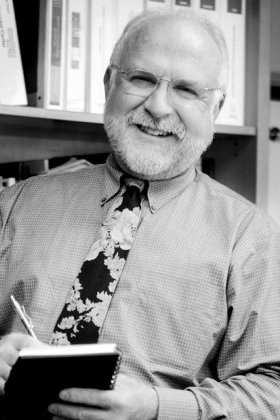 He organized and is a member of the HKS’ Knox Advisors (business consulting), and is the President and Managing Principal of HKS’ Center for Advanced Design Research & Evaluation (CADRE), a non-profit organization dedicated to rigorously distilling and disseminating quality research evidence relevant to the improvement of design. This focus has led to an innovative design approach intent upon informing design by operational discoveries and evidence from rigorous research in practice. Fifteen years ago, Mik was challenged to reinvent how emergency departments were designed to respond to disasters, epidemics and terrorism. At that time, Project EROne was born. He assembled international thought-leaders with the premise that if everyone makes recommendations that are the same as current best practices, the bar will never be moved forward. His career has focused on challenging the status quo and rethinking things that appear to be working just fine. The results included a major national innovation award for Project ER One, as well as cutting-edge concepts in infection control in the hospital setting. Mik has been a faculty member of the Harvard ED design course, as well as the course director and moderator for the Center for Health Design symposium on strategic emergency design. He has made numerous international presentations on design for disaster preparedness and emerging technologies. Carolyn L. Cason, PhD, RN, has a distinguished career as scientist, teacher, academic leader and innovator. She envisioned and built the nation’s first comprehensive simulation center, the Smart Hospital, creating the prototype for the nation and simultaneously launching rigorous research on instructional methods. With engineering colleagues, she developed Smart Care (a living laboratory dedicated to developing non-invasive, pervasive technology to monitor health changes and support independent living). She built the Shimadzu Institute for Research Technologies, a core facility supporting chemistry, biology, nanotechnology, and material science research. Her patent, commercialized as a CPR card, is demonstrating the life-saving effects of feedback provided via the card to those delivering CPR to victims of cardiac arrest. In 2014 she was named Fellow, National Academy of Inventors. In October 2015, she is being inducted as Fellow, American Academy of Nursing. She began her professional career as a graduate of a diploma program working as a critical care nurse. Her undergraduate degree is from the University of Texas Medical Branch, her master’s degree from the University of Texas System School of Nursing, and her doctorate in educational psychology from the University of Texas. She has held teaching appointments at Texas Woman’s University, University of Texas System School of Nursing El Paso Campus, Temple University, University of Arkansas for Medical Sciences, and the University of Texas at Arlington. She joined the University of Texas at Arlington in 1997 as Professor and Associate Dean for Research. In 2011, she was appointed as Vice President for Research. In June 2015, she retired from the University of Texas at Arlington. She continues her contribution to health and healthcare through service on boards including the National Advisory Board, National Institute of Standards and Technology, Manufacturing Extension Partnership, CADRE (Center for Advanced Design Research and Evaluation), Tech Fort Worth and Medical Center Arlington. David loves what he does and loves surrounding himself with people who share that passion. A founding Principal of ccrd, David brings over 30 years of experience in the fields of mechanical engineering design, technical engineering design and project management. In addition to his administrative responsibilities, he serves as the principal-in-charge of numerous projects across the U.S. David graduated from Texas A&M with a Bachelor of Science in Mechanical Engineering. Today, he offers our clients an ever-expanding expertise in Biocontainment, Chemical and Physics Research Laboratories, as well as vibration analysis and asset management. His experience spans everything from clean rooms and medical labs to government facilities and corporate high-rises. David has authored and co-authored several technical papers on such specialized subjects as BSL-4 Biocontainment facilities, vivarium ventilation analysis and design issues for insectaries. Dr. Debajyoti Pati has over 26 years of experience in research, practice, and teaching in the United States, Canada, and India. He has spent most of his professional life examining the influences of the built environment on people and processes. His areas of interest include healthcare, judicial facilities, healthy environments, sustainability, public architecture, performance-based design, organizational learning, and developing indicators of facility performance. He has published widely on performance based design in the healthcare and criminal justice sectors, in the form of book/book chapters, scientific articles, and industry publications. He served as the vice president and director of research of HKS Architects, a leading international healthcare design firm, before moving to Texas Tech in 2011. 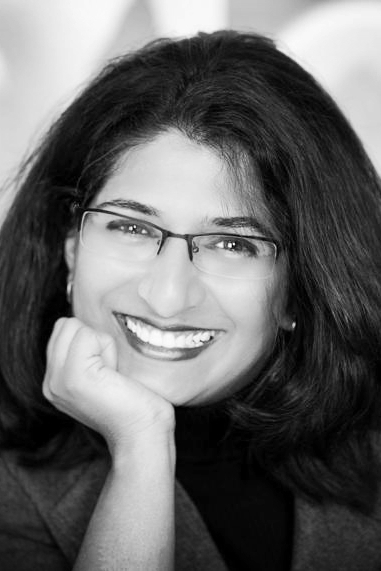 Dr. Pati was voted among the 25 most influential people in healthcare design in 2009 and 2010. He also received the Best International Research Project award by the International Academy for Design & Health, Stockholm, in 2009, 2010 and 2014. He has served as a juror/reviewer at the national level, including for the National Science Foundation, ASID Foundation grants, Center for Health Design, Design: Environment for Aging showcase, Healthcare Design Architectural Showcase, Healthcare Design Remodel Renovation Showcase, EDRA CORE program, and ParticiPlace2011 at UC Berkeley. He serves on the editorial boards of two international journals. Dr. Pati is a Fellow of the Indian Institute of Architects, board of director of the AIA-NIBS BRIK program, past executive director of the Center for Advanced Design Research & Evaluation (CADRE), past member of the Research Coalition at the Center for Health Design, and life member of the Indian Society for Technical Education.